Bane is an odd character. It seems like he is either used as dumb muscle for some higher thug, or Bane can show up with a little more proper characterization and mental capacity. In the medium of comics, Bane was raised in a South American prison, because his mother was serving as life sentence. Yeah. I know that sounds like sketchy origin at best, but I don’t think they were trying too hard. And growing up surrounded by guards, gates, and bars, you have nothing better to do with most of your time than to work out constantly. Meaning Bane is a big strong dude. Before the steroid-like Venom gives him a strength boost. Not a skinny weakling barely tipping the scale over and hulking out on the drug, as displayed in the not-so-popular Batman and Robin. 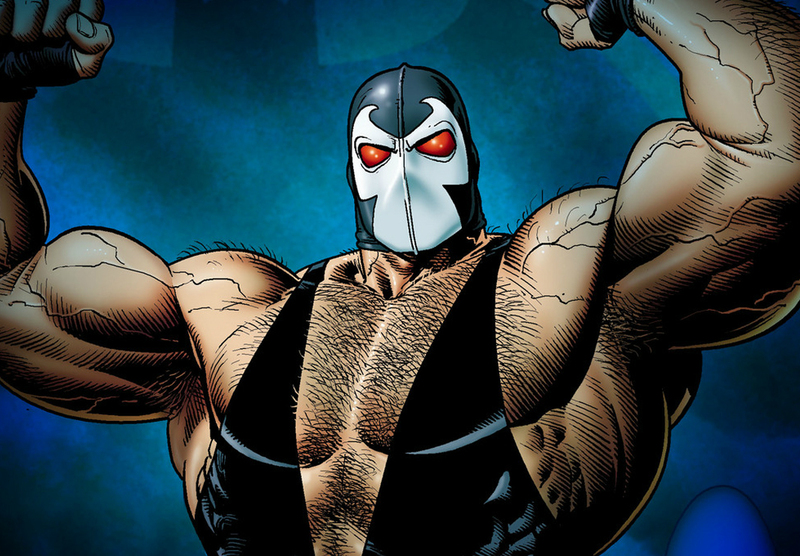 Keeping in the realm of the printed page, Bane has a lot more flavor to him. He speaks with intelligence and has the ability to be a mastermind behind schemes. The difference between The Masked Man, and say The Riddler when it comes to trying to hold Gotham hostage is, when the inevitable Batman try to put and end to the plot, The Dark Knight is met with more physical stopping power with Bane than the mostly cerebral Riddler. Which is one of the reason’s Bane is also called The Man Who Broke the Bat. Because Bane broke Batman’s back. Which when it happened, I thought was the craziest things to have happened to Batman, because The Caped Crusader always wins, and man did he lose that fight. I think that the smart, heavy-hitting, tactical side to Bane is what they were going for when Christopher Nolan put him in The Dark Knight Rises. They succeeded for the most part and Bane took down the Bat, at least it looked like it for a moment. Even though Bane is a relatively new Batman villain (first appearance was in Batman: Vengeance of Bane, January 1993) he is solid enough to be put in with some of the true classics in Batman’s rogues gallery.